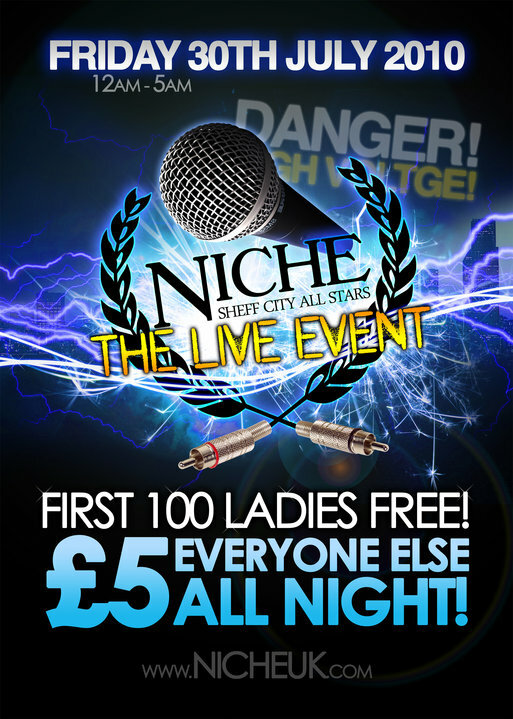 @NicheOfficial SHEFF ALL STARS “LIVE” FRI 30TH JULY £5 ENTRY ALL NIGHT!!! FIRST 100 LADIES FREE! FIRST 100 LADIES FREE! 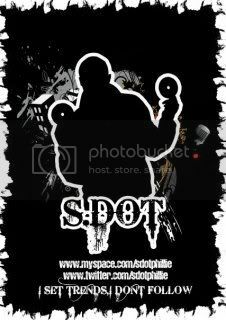 FIRST 100 LADIES FREE! FIRST 100 LADIES FREE! The All Stars are back once again! Bigger, Better, and this time, LIVE! 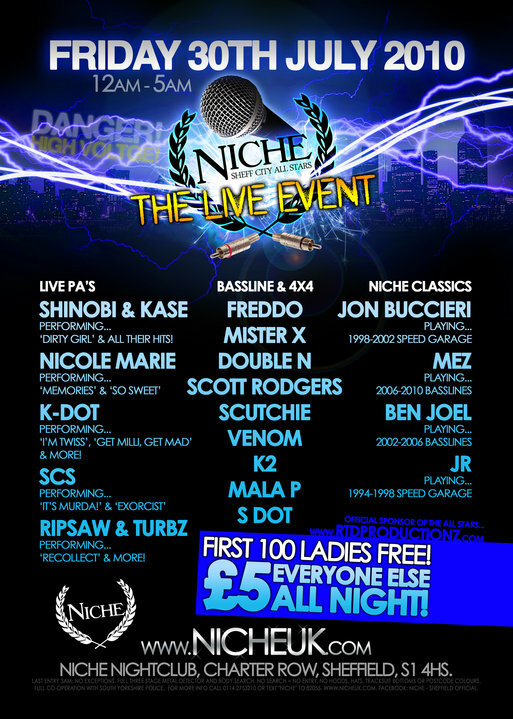 With a whole host of Live PA’s, upfront Bassline, 4×4, and of course Niche Classics! This month, the DJ’s in Sidney Street will take you right through from 1994-2010 with a brief history of Niche Classics for one month only! All Stars crew, you know how we end the month! Don’t miss this! ★ SHINOBI & KASE performing ‘DIRTY GIRL’ and all their hits! ★ NICOLE MARIE performing ‘MEMORIES’ and ‘SO SWEET’! ★ K DOT performing ‘I’M TWISS’, ‘GET MILLI, GET MAD’ and more! ★ SCS performing ‘IT’S MURDA’ and ‘EXORCIST’! ★ RIPSAW & TURBZ performing ‘RECOLLECT’ and more! No hoods, hats, tracksuits or postcode colours. Full body and three stage metal detector search is a condition of entry. No search = no entry. Full cooperation with South Yorkshire Police.